Moving home at Halloween doesn’t have to be a nightmare. Avoid spooky surprises by planning ahead and using a reputable domestic removals company. C.Wraight Removals can help you every step of the way. Here are our tips for getting out of your haunted house unscathed! Choosing a date for your move helps you get ahead. Halloween falls on Tuesday 31st October in 2017, so give yourself plenty of time to check the availability of everyone involved. Don’t leave it late or you’ll be left in the lurch. Protecting your belongings against bumps in the night is key when moving home. As a reputable Kent removals company, C.Wraight & Partners holds insurance for Goods in Transit and Goods for Hire & Reward insurance. Our experienced team offer a professional service with a personal touch. One more worry to tick off your list! Date set, London removal company booked. Now it’s time to plan. Keep out things you may need during the move, like garlic and crucifixes to repel vampires. If you can, put together an overnight bag of essentials in case plans change at short notice. Avoid ghoulish goings-on by arranging for your little devils to be occupied on moving day. Moving children and pets can lead to mysterious breakages when you already have your hands full. Ask a relative to entertain your children with pumpkin carving, then use them as lanterns for your new home! Do you have space for all your belongings in your new home? Will renovations be taking place before you can settle in? Storage can solve any concerns about space and is something we can help with. Just ask about our Kent based storage options, which are always cobweb free. The most important job of a move is ensuring your belongings are safe and secure. Use appropriate packing for each item and ask for help from our expert team if needed. We can provide materials if you need them and will always move your goods with the utmost care and suitable moving equipment. Just don’t forget your broomstick and check the dark corners of the attic. Your personal details are important. Change your information with relevant companies and set up a mail redirection to avoid the risk of identity theft. Doing this in advance will also reduce the risk of horrifying bills from previous suppliers. DON’T BE SCARED – You did it! Surviving a house move over Halloween can be a breeze with the right help and planning. 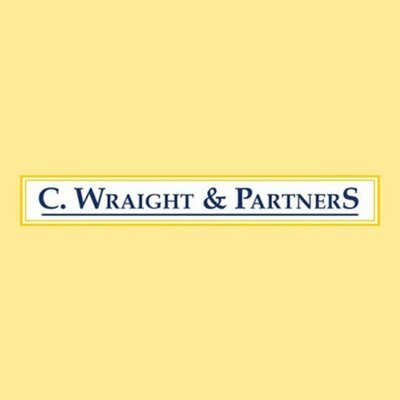 Contact C.Wraight & Partners with your requirements and we’ll provide a free domestic removals estimate and consultation. No spooky surprise and definitely no need to call in an exorcist! For more information, check our moving house top tip article.